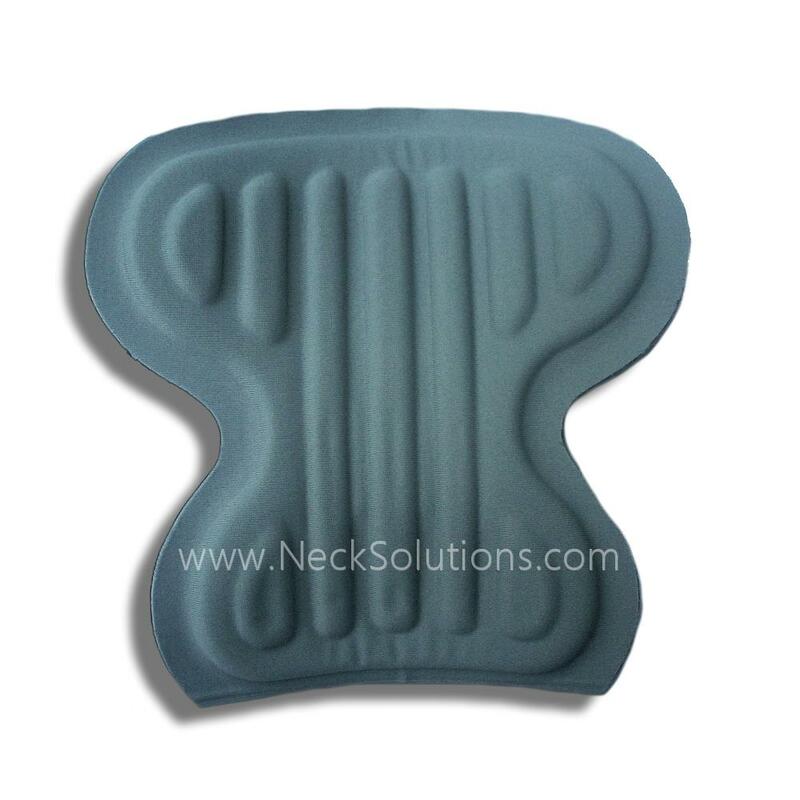 The Neck Pad Is Used To Provide Extra Support & Padding To The Back Of The Head & Neck. 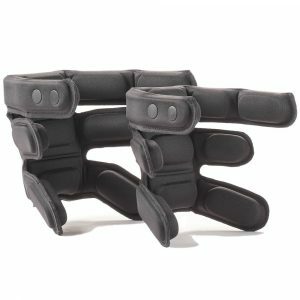 It Can Help Limit Backward Motion Or Extension. Ships To US Free Priority With Collar. First Class Single Orders. 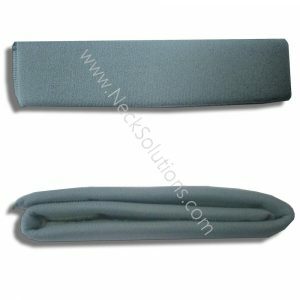 The Headmaster Collar Neck Pad Is An Add On Accessory To Provide Additional Support For The Neck & Head. 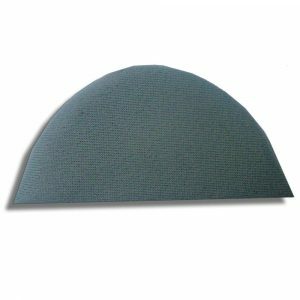 The headmaster collar neck pad is moldable and can provide extra comfort and support for the back of the headmaster collar. 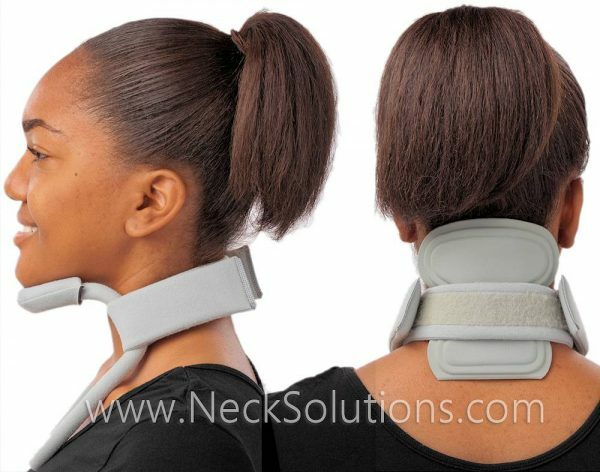 It offers mild to moderate support for neck extension (backward head movement) depending on how it is adjusted. 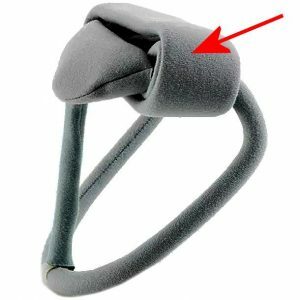 Because it is shape-able by hand, it can be fitted to the patient’s particular anatomy. 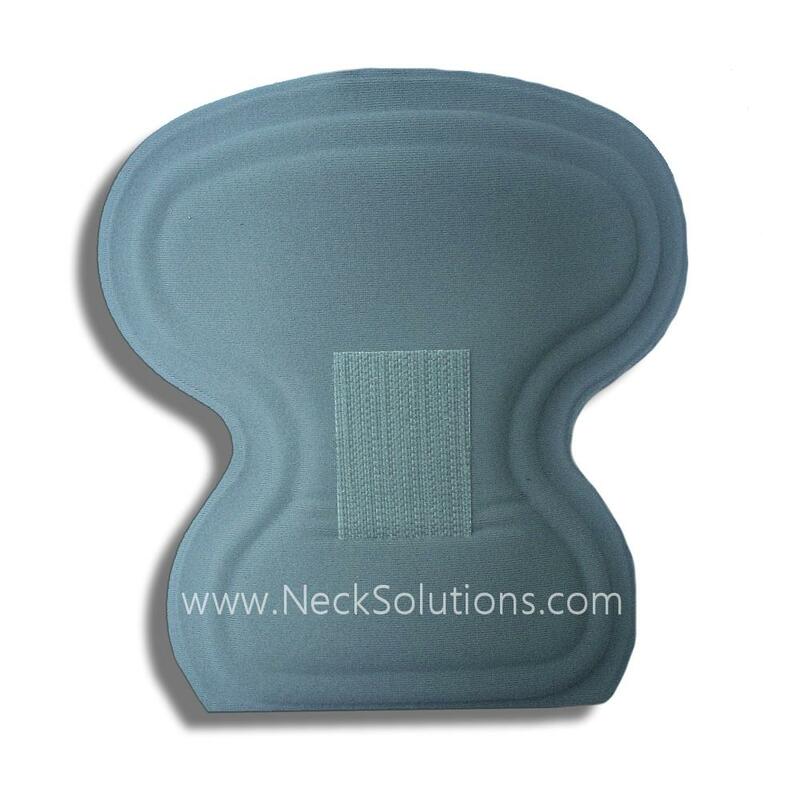 It is a single pad that attaches to the inside, back of the cervical collar strap with Velcro. 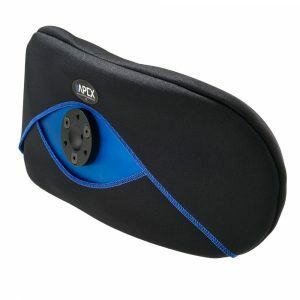 The non-Velcro side is against the neck and is vertically ribbed for better air flow and support. The neck pad adds a measure of extension resistance, however, it is more for comfort, making the collar feel more secure. 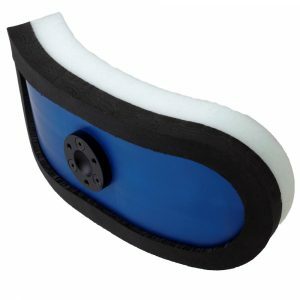 It comes in 3 sizes and is matched to the size of the collar. The three sizes are for each the Large/Medium, Small/Junior, and Child/Infant, and is available in colors to match the collar: Gray, Beige & Black. 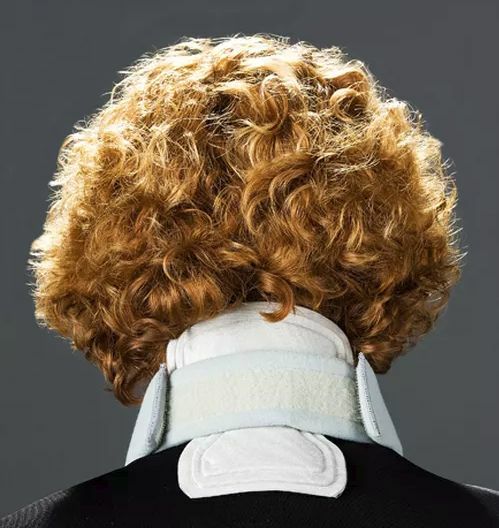 The pad is not flimsy and will definitely provide support, yet it is bendable and covers a wide area for increased comfort and a feeling that the collar is more stable. 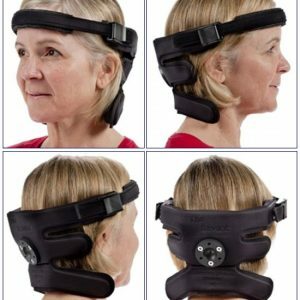 While being able to be shaped, it will help to provide some resistance to extension where there is some lack of control in that direction, however, the main purpose of the collar is for dropped head support. If you are looking for an accessory to make the collar more comfortable or need more stability and support for backward head motion, the neck pad is the one to get. For more resistance to extension, the extension pads would be indicated, however, increased resistance is achieved at the cost of comfort. 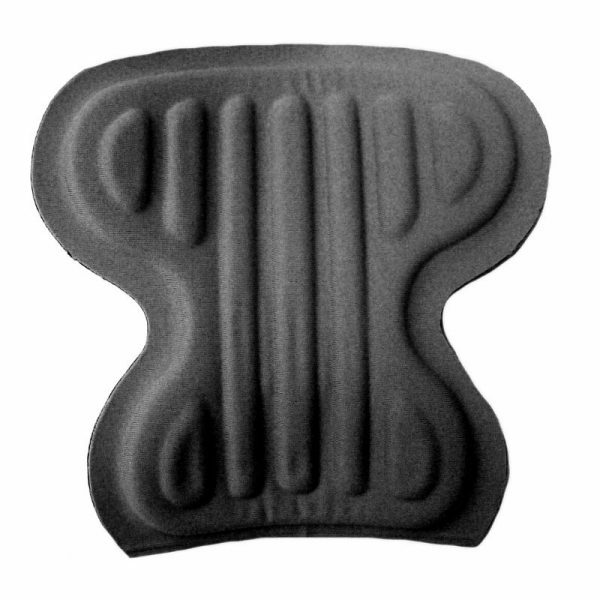 The degree of firm support or milder support with more comfort would be the deciding factor.